Surprise your cuddly bear with a romantic stay in Honey Tree, a charming studio cabin with all the modern amenities you need, but plenty of luxuries, too. Snuggle together in front of the fire or let the bubbles in the hot tub soothe your muscles. Although it offers plenty of peace and quiet, Honey Tree is also close to all the attractions in Pigeon Forge and Gatlinburg, the heart of the Smoky Mountains. Inside, enjoy a cozy living room centered around a stacked-stone fireplace, with a comfy sofa perfect for curling up. Watch your favorite flick or catch up on your shows, or just listen to the soothing sounds of the fire. The bedroom area has its own two-person jacuzzi and, with its proximity to the bed, you can relax in the soothing bubbles and easily fall into bed in a few steps. 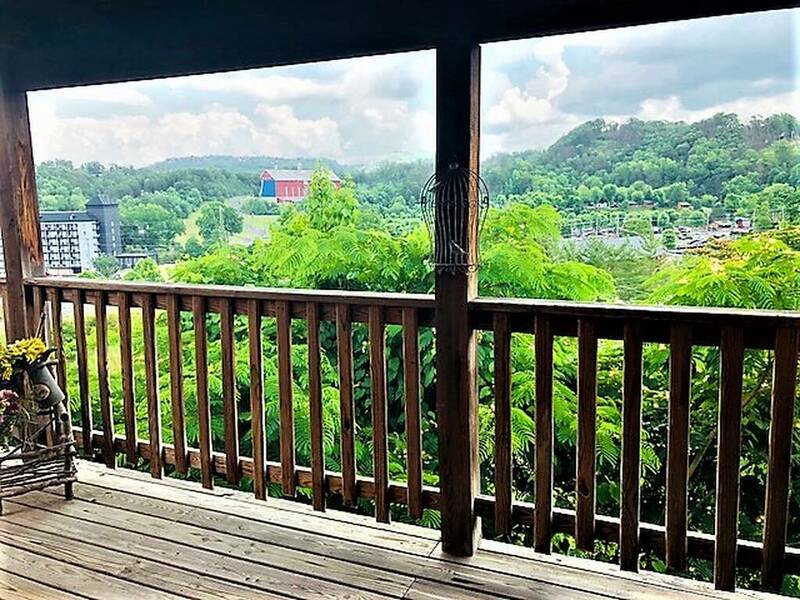 On the back porch is a secluded hot tub, great after a long day hiking in the Smokies or enjoying Pigeon Forge attractions, shopping, and restaurants. 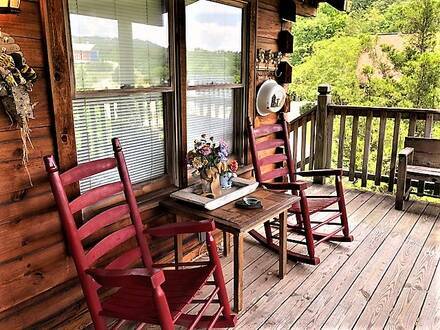 Breathe deeply in the crisp mountain air from the rocking chairs on the deck as you let your cares drift away. 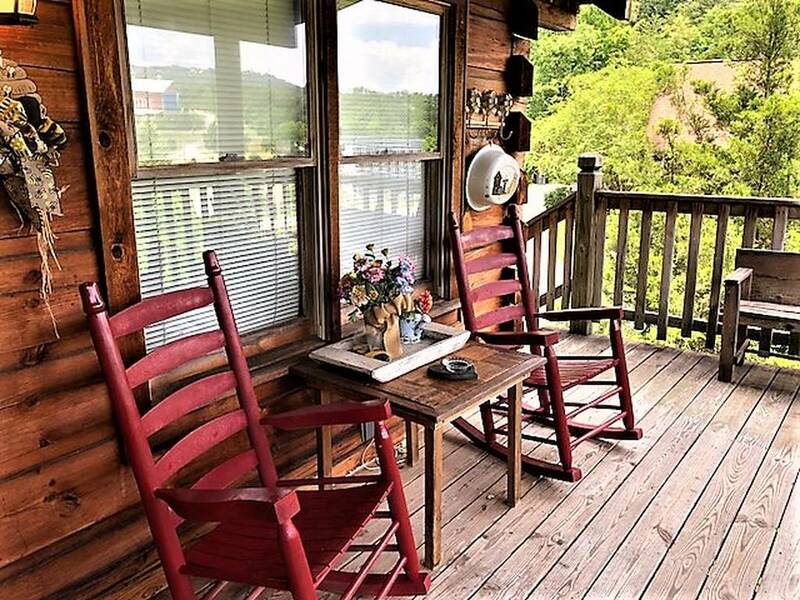 Plan a trip for up to five families or couples’ retreat and use four other cabins nearby, all with queen bed and sleeper sofa: Cherokee, Country Charm, Sugar Plum, and Twin Hearts. Everyone who stays receives a free pancake breakfast from Reagan’s House of Pancakes as well, so book now and secure your mountain hideout!